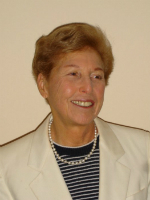 Beth Sulzer-Azaroff is internationally recognized for her pioneering work in applied behavior analysis. Her work was instrumental in translating findings from the basic behavior analytic laboratory to the applied setting, from the classroom to the factory. She was one of a small group of investigators who recognized the clinical implications of behavior analysis and founded the field of applied behavior analysis. She is perhaps most recognized for the development of strategies to enhance learning and quality of life for individuals with developmental disabilities. Through her research, teaching, textbooks and the work of her academic progeny she has improved the lives of children, adults, families and workers throughout the world. An early career in public education launched Sulzer-Azaroff’s quest for methods to promote behavior change in socially important directions, leading her to pursue her doctoral studies at the University of Minnesota. She held her first faculty appointment at Southern Illinois University and served on the faculty for decades at the University of Massachusetts, Amherst. She was inspired by B.F. Skinner’s conviction that, under ordinary conditions of daily living, human behavior adheres to natural law, and along with her colleagues and students began examining how socially important behavior could be affected constructively by changes in contingencies of reinforcement. By experimentally analyzing the efficacy of ecologically sound behavioral interventions, they tested the validity and generality of this postulate for improving student performance (ranging from pre-school through college and beyond), adherence of personnel to health and safety routines, workers’ meeting manufacturing standards of product quality and staff use of effective applied management/leadership skills in various socially important areas. The results of these efforts have been described in over 100 professional and scientific publications. Collaborating with colleagues G. Roy Mayer, Kathleen Dyer, Andy Bondy and others, Sulzer-Azaroff described, analyzed, and integrated their own results with those of other related behavior-analytic investigations in a series of texts. These textbooks have been widely used in colleges and universities throughout the country to train teachers, school administrative staff, psychologists, managers and others, in how lawful principles of behavior can be arranged to improve every day functioning across a multitude of settings. For example, the 2012 revision of Behavior Analysis for Lasting Change (with Mayer & Wallace) presents empirically documented state-of-the-art procedures for addressing a broad spectrum of behavioral challenges. Published that same year, a revised Applying Behavior Analysis Across the Autism Spectrum: A Field Guide for New Professionals (with Dyer, Dupont and Soucy) uses applied data-based instructional and behavior-change exercises to teach staff to become competent in working with persons with autism. Sulzer-Azaroff has written a dozen other books on implementing applied behavior analysis techniques for augmenting positive performances of students, special-needs populations, and personnel on the job (e.g., Who Killed my Daddy? A Behavioral Safety Fable). Sulzer-Azaroff’s dedication to mentoring also deserves recognition. She served as an outstanding advisor and role model to students, postdoctoral fellows and junior faculty. She taught her scholars to be open to new ideas and was willing to consider new approaches if she thought there might be utility in them. Much of her mentoring was facilitated by the U.S. Department of Education funded Developmental Disabilities Training Program at the University of Massachusetts, Amherst that she co-directed with Robert S. Feldman for several years. Active in scientific and professional society affairs, Sulzer-Azaroff presided over Division 25 of the American Psychological Association (APA), the Association for Behavior Analysis (ABA), and the Berkshire Association for Behavior Analysis. She also served on various Editorial Boards such as the Journal of Applied Behavior Analysis and the Journal of Autism and Other Developmental Disabilities. These accomplishments have been honored by awards from APA, ABA, the Cambridge Center for Behavioral Studies, and other technical and professional organizations. She has consulted and lectured widely, including Australia, Canada, England, Finland, Great Britain, Hungary, Israel, Italy, Sweden, Thailand and Venezuela. *The FABBS Foundation would like to thank Dr. Robert S. Feldman and Dr. Julie Schweitzer for nominating Dr. Sulzer-Azaroff for this honor and for leading the effort to spread the word about her nomination. Would you like to honor Dr. Sulzer-Azaroff? It isn’t too late to have your name added to the list of donors! You can make your donation to Dr. Sulzer-Azaroff’s In Honor Of… campaign at anytime.